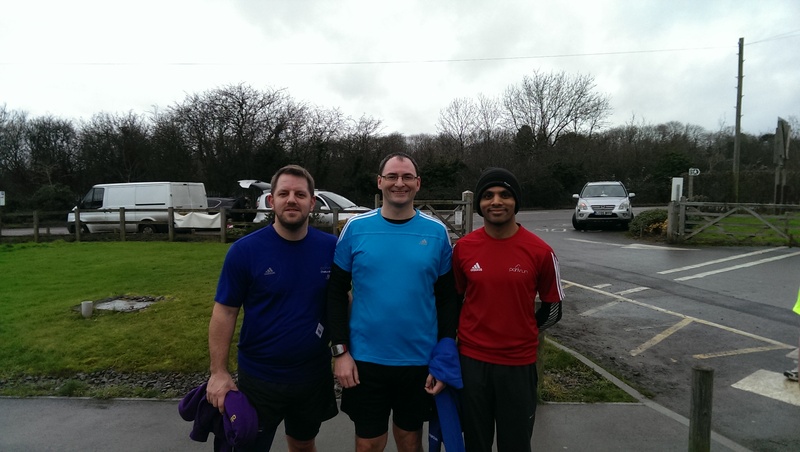 So on January 1st 2015 I headed off with friends Greg and Prash to be professional parkrunners and take advantage of the opportunity to “do the double” – the once a year you can do two parkruns in a day and they both count. A little investigation revealed that Chipping Sodbury and Pomphrey Hill were offering themselves, with a staggered start time and being only 45 minutes away. I did a “selfie”, I won’t be making a habit of it. 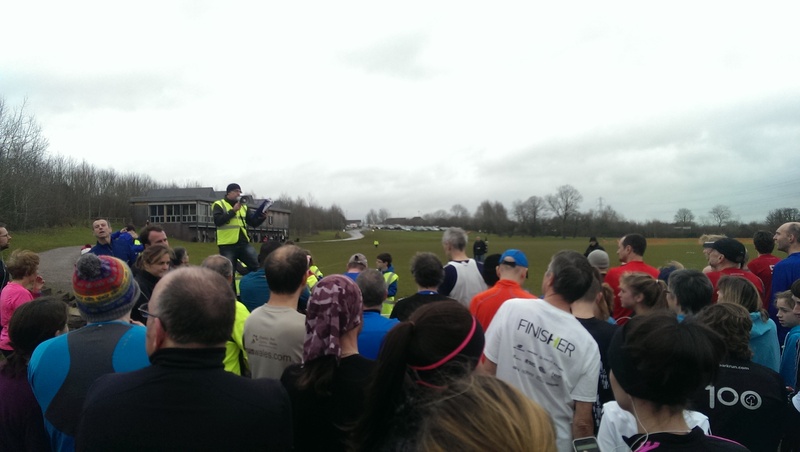 Chipping Sodbury was a flat 3 lapper around a pleasant field with a good crowd, the usually friendly folk you encounter at parkruns around the country. 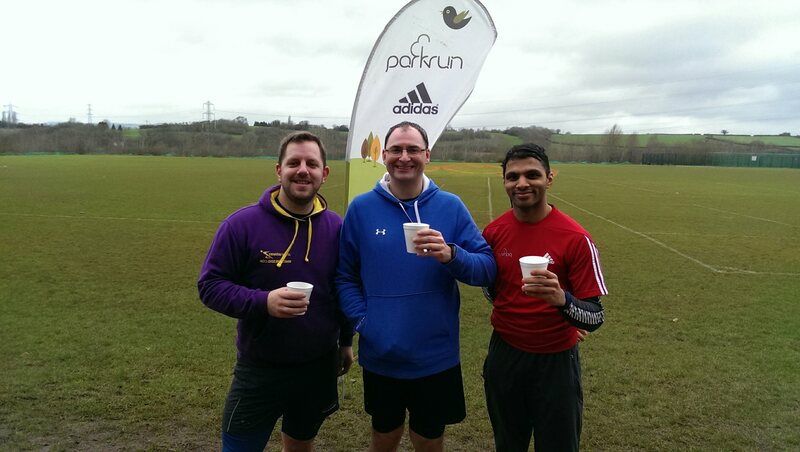 In fact I recognised several people from Ashton Court parkrun which I did a few weeks ago, which was handy because they were able to take group photos so avoiding the need for awful selfies! Pomphrey Hill was a wildly different beast, I guess the clue should have been in the name. 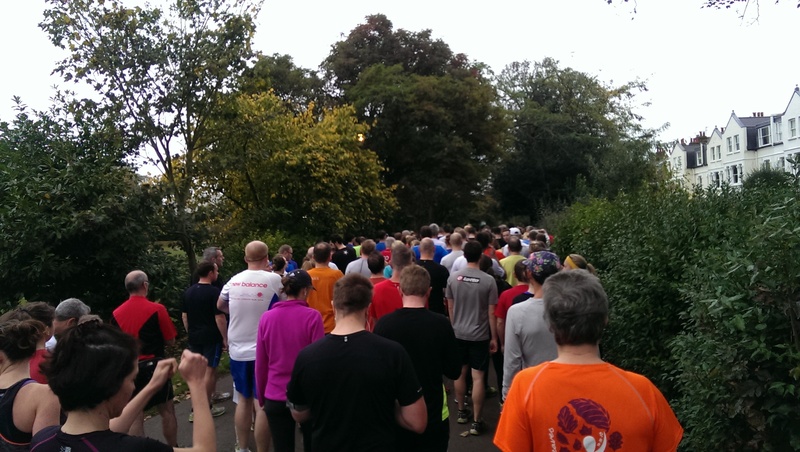 Over 300 people on a course that rarely sees 100 meant a tricky job to hear the briefing, but something it was impossible to miss was the cheer when the Run Director referred to going “up Pomphrey”. 3 laps starting with a climb past the cafe wafting the delicious smell of bacon across the course and at the 3/4 mark a steep, steep climb up a soggy wood-chipped track, the eponymous hill. With two parkruns in two hours it was never going to be quick, but both were done in under 30 minutes and parkruns 42 and 43 were in the bag. 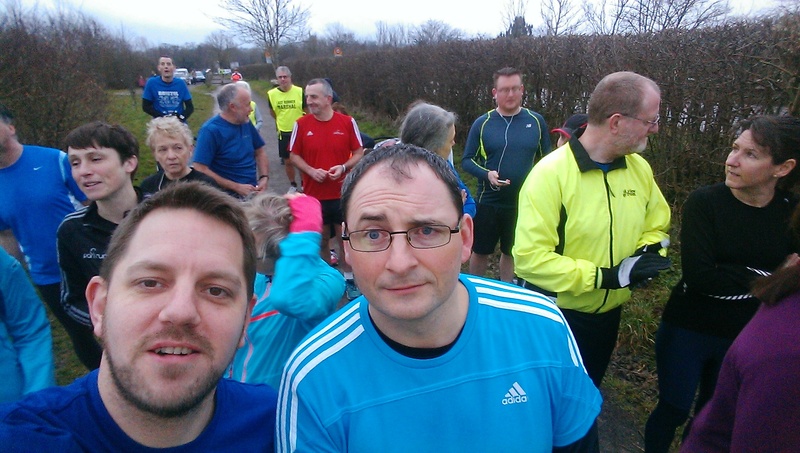 This entry was posted in Events, parkrun, Running, Running and tagged Chipping Sodbury, exercise, New year, Parkrun, Pomphrey Hill, running, training. Bookmark the permalink. I almost did the double at Huntingdon>Peterborough but decided against it at the last minute. I think it will be on the cards for next year though. In the end I just went to the later starting Peterborough parkrun and we had about similar numbers that were taking part in the double. Regretted not doing both afterwards!